Jeff grew up in Tahosa Valley near Estes Park, Colorado at the base of Longs Peak. He has a BS in History and is a retired naval flight officer. Jeff is married to his lovely wife, Becky. 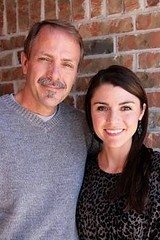 Hannah (Jeff’s oldest daughter) has a passion for writing. She holds a Masters in Journalism and has had several short pieces published. Hannah is married to her wonderful husband, Matt. Find her writings on their life together here. Together we are ShadowTime Writers – a father-daughter writing team. We chose that name because we believe we are living in the “shadowtime” of history – a window of time where the present is shadowed by both past and future events. We desire that everything we write reflect glory back to our Lord and Savior, Jesus Christ. 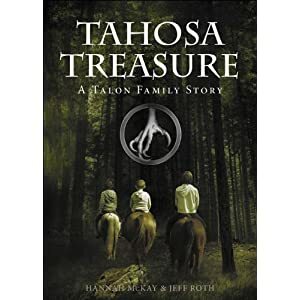 Our first book – Tahosa Treasure – was released on January 8, 2013. We hope you pick up a copy and we hope you enjoy reading it as much as we enjoyed writing it! Have any questions for us? Just want to say hello? Email us at shadowtimewriters(at)gmail(dot)com.